I’m changing up the color in a few of our rooms (guest bedroom, living room, and master sitting room) and started searching for pillow covers. Etsy is, of course, a great resource, but I feel like I’m seeing the same patterns/colors over and over in a lot of the shops. 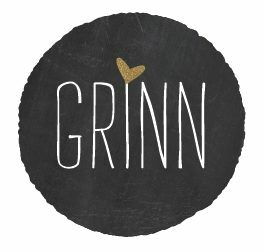 I stumbled upon Goods by Grinn on Pinterest (my addiction!) and was instantly excited over her pillows. And at great prices- around $36 for a 20×20 inch cover with a zipper closure. 🙂 You can buy pillow inserts at places like Hobby Lobby, Joanns, and Michaels. I like to buy inserts just a little bigger than the pillow for a fuller look. The gold basket weave is definitely on my list. But these coraly pinks are so pretty too. They remind me of my Rifle paper notebooks. Gold dots are hot right now – like the decals on the walls of Courtney’s daughter’s room. 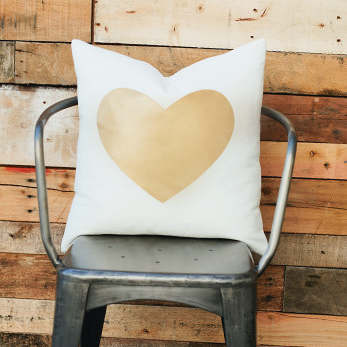 I can’t resist a heart or anything to do with l o v e.
Don’t be surprised if you see some of these pillows at my house in the near future! Which are your faves? 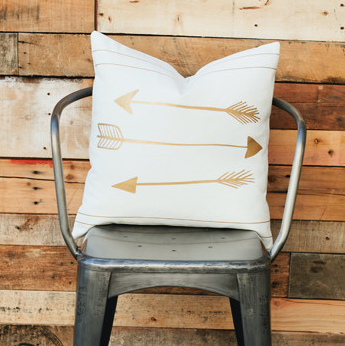 Do you have a go-to place for pillows? Please share! Love that gold basket weave too! I AM IN LOVE! 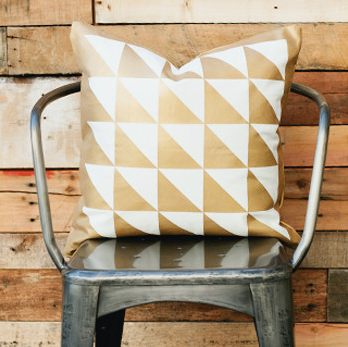 The Geometric has my mind spinning about ideas to add to Kane's nook! Agreed! The basket weave is my favorite! That geometric is fab too. I'll be re-decorating our sun room soon and you've got me thinking! i love all the gold! going to check them out! All the pillows are gorgeous. I love them all! Beautiful pillows. We are looking for some new ones for Katie's new room at school. Will have to check them out. Wow. Those are gorgeous. New source for me. Those floral pillows are just beautiful. Thanks for the sweet shout out!!! What a beautiful blog! I found you on iHeart Organizing. I started my own DIY blog a few weeks ago. My husband and I are renovating our little house on the river. I'd love it if you could come for a visit when you have a minute! I'm adding you to my bookmarks! I love them all!! I usually buy my pillows from Pier 1. But I love the ones you found!! Ooh that basket weave!! Love it! Oh…such a great find. Thanks for sharing! Oh my goodness! So many cute pillows! I want them all!